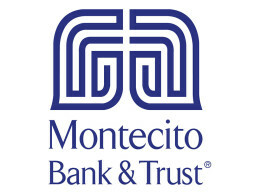 Montecito Bank & Trust founder and owner Michael Towbes will step down from his role as board chairman, the bank announced April 3. The bank, which will continue under ownership by a trust that is overseen by trustees, said it would propose naming current President and CEO Janet Garufis as CEO and board chair, and bank executive George Leis as president, at its April board meeting. Towbes said he was stepping back from an active role at the bank in order to spend more time with his family and to allow for the implementation of the succession plan. “I’ve had an amazing life,” said the real estate and financial services entrepreneur, who founded Montecito Bank & Trust in March 1975. Towbes’ decision to step down as chairman comes amid a series of changes in the regional bank ranks. Also on April 3, Irvine-based Pacific Premier closed its purchase of the parent of Heritage Oaks Bank, a transaction that left Montecito Bank & Trust as the largest independently owned bank in the region. Born in 1929, Towbes has been a resident of the South Coast for 54 years. 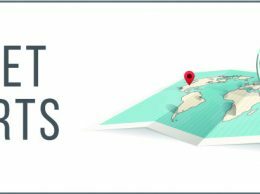 He began his business as a homebuilder and diversified into commercial real estate and apartments before entering the banking industry in 1975. The bank emerged from the Great Recession as one of the strongest financial institutions in California and it has grown organically in recent years with assets reaching $1.2 billion. Towbes, a member of the Business Times Hall of Fame, told the newspaper that part of his formula for success was to operate within a defined geographic footprint. He said he preferred doing business in areas that he could “drive to in one day” and be home at night. Garufis was recruited to join the bank as president more than a decade ago with a mandate to build the largest locally-owned community bank on the Central Coast. Leis joined in June 2016 after serving lead roles at Santa Barbara Bank & Trust and Union Bank. Garufis will continue to oversee the bank’s leadership and Leis will manage operations, the bank said.